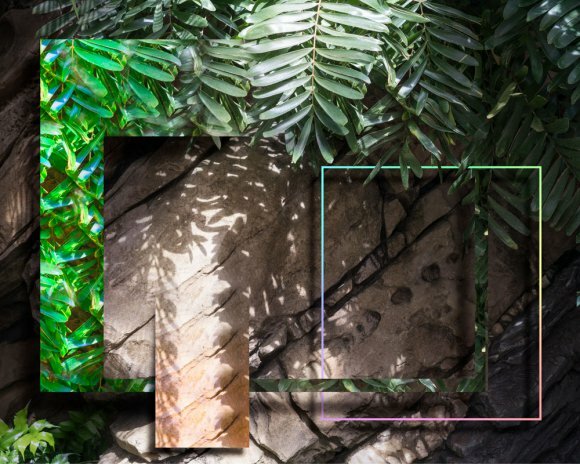 Mark Dorf is an artist based in New York who uses a combination of photographs and digital media to explore the post-analogical experience of our digital society and its relationship to our natural beginnings. His most recent works are a response to the human need to understand our surroundings with the help of science, which is viewed as a comprehensive source for explaining everything. The artist views this type of constructed understanding of our environment as being an abstraction of our reality, and he approaches his art in the same way. Dorf adopts scientific methods for data processing, analyses, and landscape surveying and, through pixel transformation and abstract images, applies them to landscape photographs. Dorf’s site-specific work for the Albertov Botanical Garden Greenhouse is in the form of an installation based on photographs, but he has also gone back to his sculptor roots and other materials are incorporated as well. This project was created during a residency fellowship from MeetFactory here in Prague. Special thanks to U.S. Embassy in The Czech Republic and to the Botanical Garden of the Charles University, especially to Mgr. Věra Hroudová. The Fotograf Festival is organized by the Fotograf 07 registered association, and held under the auspices of the Mayor of Prague, Adriana Krnáčová, with the support of the City of Prague and the Czech Ministry of Culture.